Benefit from the know-how of a supplier, combined with the technical expertise of a developer in integrated technologies for your automotive bearings. NTN-SNR provides you with a custom solution. NTN-SNR can provide you with robust solutions, whatever your areas of application: passenger vehicles, utilities or heavy goods vehicles. ASB technology® a NTN-SNR patent! Active Sensor Bearing allows the active measurement of the rotary speed of the wheel. Whatever the levels of torques encountered on your transmissions, we can provide a wide range of products to meet all types of applications from passenger vehicles through to heavy goods vehicles. With an annual production of 5 million CV joints and driveshaft assemblies, we equip all types of vehicles, from passenger cars to utility vehicles, including front-wheel drive, rear-wheel drive or four-wheel drive. NTN-SNR can offer you bearings in composite materials for a wide range of automotive applications (wheels, engine, etc.). The weight of the composite bearings and the cost of the function are reduced compared to traditional solutions. NTN-SNR is developing this range in collaboration with NTN Corporation. NTN-SNR is also your partner for the development and industrialisation of mechanical or mechatronic modules, such as actuators, modules allowing the transformation of a circular movement into a transverse movement (or vice versa). calculation: calculation and simulation tools have been mainly designed and developed internally. 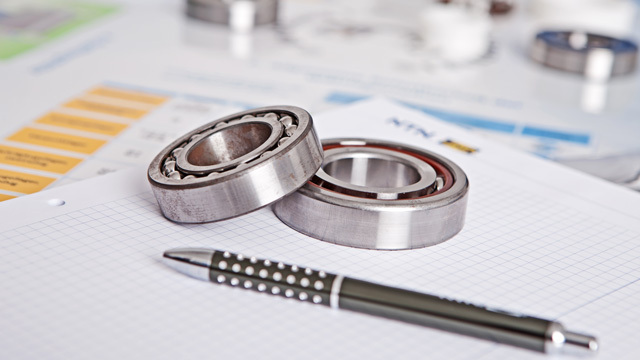 They allow us to guarantee the performance of our bearings compared to your requirements. The last of these, "Sharclab" is a specific tool for rolling dimensioning. laboratory: we work with our suppliers on steels of high cleanliness and the development of still more resistant plastic materials. customer support: dedicated sales and technical contacts will support you in every project, from the design phase up to the end of life.